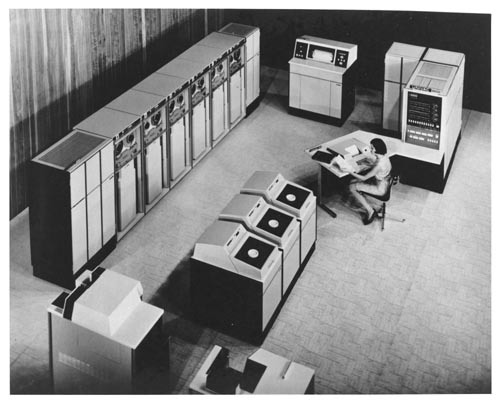 Black and white image of a Univac9400 computer system. Arranged along the left wall are 6 tape units with controller. The far right rear has a printer and the console with a woman sitting at the console desk. In front of the console are three disk drives and in the foreground two card readers.